Ohio's winter can be brutal and one of the most common issue is car tires losing air pressure or just becoming flat. We all know that we need proper equipment to change tires, and you may even have them in your trunk, but who wants to get down in the snow and gravel and change tires on the side of the road in the cold. Just call us and it is our promise we will come within 15 mins and change the tires for you, while you sit in the warm comfort of your car. At our Toledo Ohio Towing Company, we have many different types of tools in every truck so as to be able to quickly get the job done. 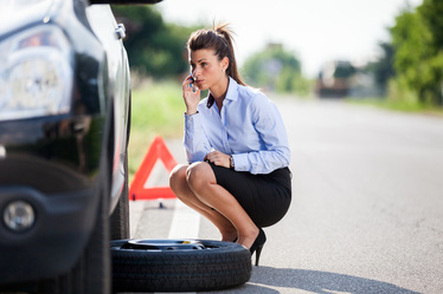 - We recommend the ideal air tire pressure for your car ( and every car is different). - We are most cost-effective.